Leach has led the WSU Cougars to a record four straight bowl games. PULLMAN, Wash. — “Insurgent Warfare and Football Strategies,” the Mike Leach seminar series called “ambitious” by sports broadcaster ESPN, is coming to an end, but the final session of the five-week course will be open to the public both on the WSU Pullman campus and via livestream. Those interested in participating in person can register at the Global Campus website for the final session, set for 7:30 p.m. Friday, April 19, at The Spark: Academic Innovation Hub. There’s 220 seats available. Registration confirmation and photo ID will be required at the door. No registration is required for watching the livestream, which can be accessed at http://global.wsu.edu/seminar closer to the seminar date. Both in-person and livestream participation is available free of charge. The seminar series, developed by Leach and former state Sen. Michael Baumgartner, was launched in March as a non-credit evening seminar for interested WSU Pullman students. 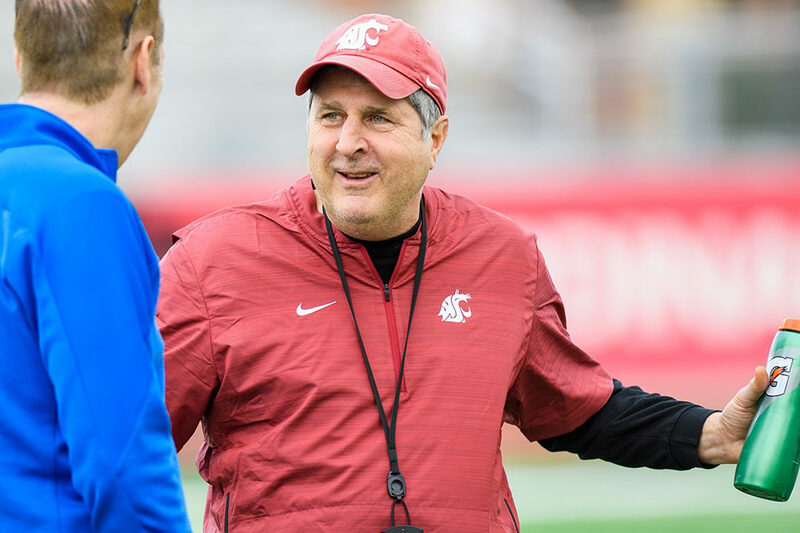 Leach, the first WSU football coach to be named National Coach of the Year, quickly drew national attention when plans for the seminar were announced, teaming up up with Baumgartner to design and help teach the series. Baumgartner, currently the Spokane County treasurer, had been with the U.S. State Department in Baghdad, has taught economics at Harvard University and has lectured on counterinsurgency efforts in Iraq and Afghanistan at the Paris Institute of Political Studies.